We invite you to visit our expanded Books page (from the Home page, click on the Books button on the left hand side, or click here.� We provide, to our knowledge the most comprehensive list anywhere of pathology related books and CD-ROMS, with over 900 titles from all available publishers, sorted into categories of New Books, Pathology specialties (such as cytology, derm, hematopathology, etc.) and by author.� All purchases through Amazon.com after entry from this page help support the website. The patient was a 46 year old man with a 4 cm mediastinal mass, but no lesions in the lung or at other sites.� The lesion was excised. Gross:� not available in this case, but typically well circumscribed, light tan and solid.� Hemorrhage and necrosis may be present. Micro: The tumor consists of fascicles, sheets, storiform or whorled patterns of a syncytium of oval and spindled cells, with pale to eosinophilic cytoplasm, oval nuclei with finely dispersed chromatin and small nucleoli; variable lymphocytes and plasma cells, often with perivascular cuffing.� Multinucleated tumor giant cells are often present. These tumors affect lymph nodes and extranodal sites, including the liver, oral cavity, bowel and spleen.� They typically have low grade malignant behavior, with local recurrence common and occasional distant metastases to liver or lung.� Poor prognostic factors are intraabdominal location, size > 6 cm, 6 or more mitotic figures/10 HPF, atypia and coagulative necrosis.� An inflammatory pseudotumor-like variant, localizing in the liver and spleen, has also been reported (AJSP 2001;25:721). These tumors are often misdiagnosed.� The differential diagnosis for these tumors includes other reticulum cell tumors (see below), as well as melanoma, thymoma, other sarcoma, some carcinomas and possibly inflammatory myofibroblastic tumors.� Immunostains are usually required for definitive diagnosis. Interdigitating dendritic cells: positive for S100, vimentin, fascin, focal CD68; negative for CD1a, CD21, CD35, B and T cell markers, actin, desmin, keratin. 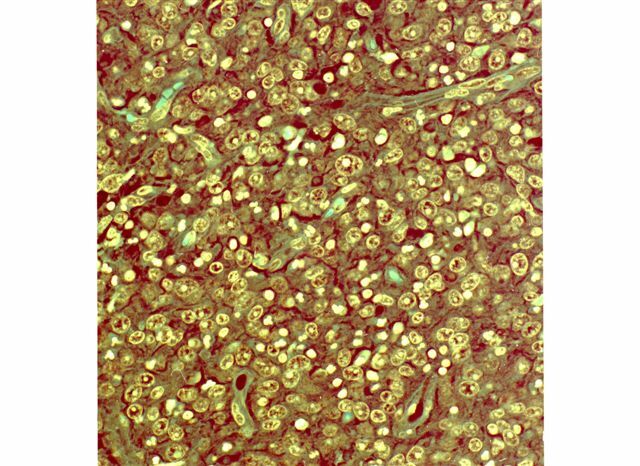 Langerhans cells: positive for S100, CD1a, CD68, vimentin. 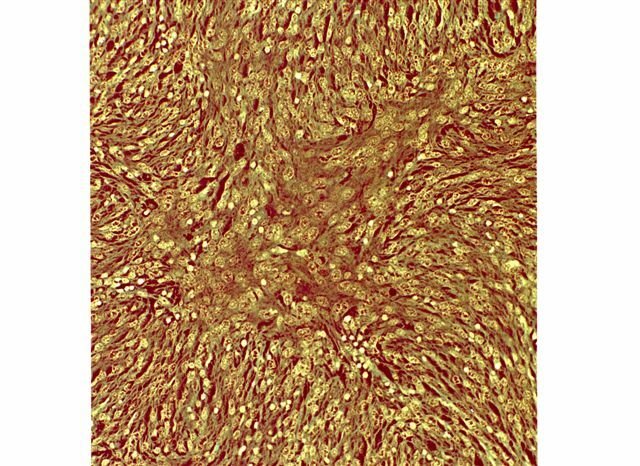 Fibroblastic reticulum cells: positive for vimentin, smooth muscle actin, desmin, focal CD68; negative for CD21, CD35, S100 and EBV. 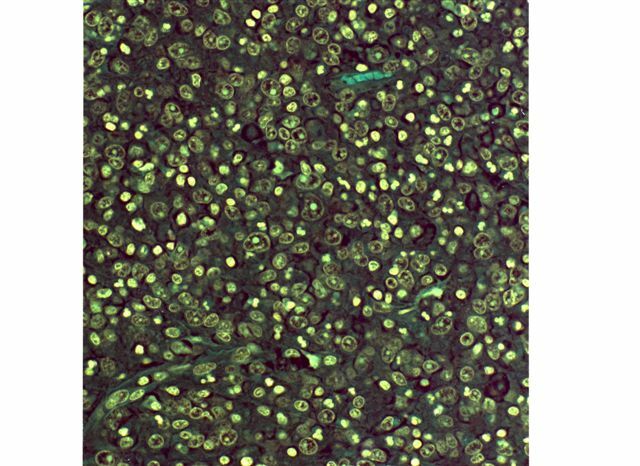 Histiocytic tumors: positive for CD68 and lysozyme.